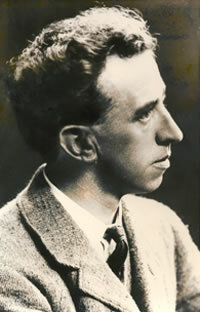 Thomas MacDonagh is best known as one of the leaders of the Easter Rising of 1916 and is the only Tipperary signatory of the Proclamation of the provisional Government. 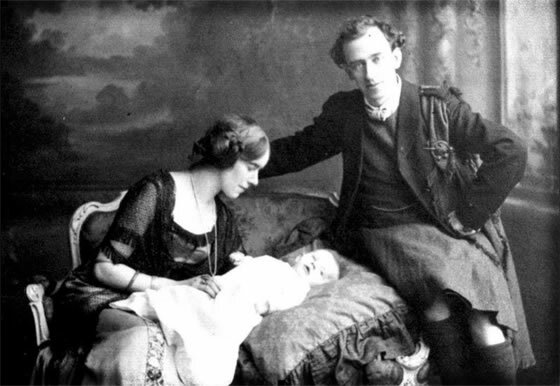 MacDonagh made many references in his poetry to the places and events of his childhood, happily spent in Cloughjordan. His parents, Joseph MacDonagh and Mary Louise Parker, came in 1877 as the first teachers in the newly opened catholic school. They arrived, with their daughters Mary and Eleanor, from Cloghan, Co. Offaly. Thomas (born on Feb. 1st 1878) and his brothers John, Joseph and Jim were born in Cloughjordan. Residents of that time recalled with affection this talented and well loved family. Thomas was sent to Rockwell College in 1894, where he remained on as a trainee teacher intending to join the Order of the Holy Ghost Congregation. Finding he did not have a vocation, he moved to a post, teaching English and French at St. Kieran’s College, Kilkenny. While here he became deeply involved in the Gaelic League. At this time he published his first collection of poetry Through the Ivory Gate. Included in this volume was the poem Knocknacree, in which he refers to happy memory of the woodlands frequented in his youth. From 1901 – 1906 he taught in St. Colman’s College in Fermoy, Co. Cork. During that period he co-founded the Association of Secondary Teachers of Ireland (ASTI). He also became vice-president of the local branch of the Gaelic League. His best known translation comes from this period; Cathal Bhuidhe MacGiolla’s poem An Bonnán Buí (The Yellow Bittern) and he published two books of poetry, April and May (1903) and The Golden Joy (1905). Appointed assistant headmaster at Scoil Eanna, Oakly Road, Ranelagh, his association with Padraic Pearse began. His 'zeal for his subject and his breezy manner' captivated the minds of his students. In 1910, ’John John’, appeared in the collection Songs of Myself. By now he had met W.B. Yeats and advised him on developing his talent. He had also come in contact with Arthur Griffith, founder of Sinn Féin, pacifist Francis Sheehy Skeffington and writers Pádraic Colum, George Russell and James Stephens. He spent a while in Paris before returning to his studies and in 1911 he was awarded an M.A. degree, with 1st class honours, from University College Dublin. His thesis, A study of Poetry and English Literature, led to his appointment as assistant lecturer in English at the college. In 1913 his scholarly study Thomas Campion and the Art of English Poetry was published. In 1911 he married Muriel Gifford from Dublin. Her sister, Grace, later married Joseph Mary Plunkett, who was also to become a signatory of the Proclamation. Thomas and Muriel had a daughter, Barbara, and a son, Donagh. These were happy, busy years filled with family and scholarship. Lyrical Poems was published in 1913, described by Thomas as containing “all that I wish to preserve of my previous work”. Reminiscences of Cloughjordan inspired two poems in particular; The Man Upright and The Night Hunt. 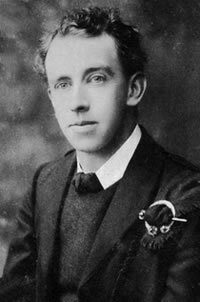 In 1913 the Irish Volunteers were formed and Thomas MacDonagh was appointed a member of the Central Committee taking command of the Second Dublin Battalion. He co-organized the Volunteers’ march to Howth in July 1914, to receive the guns landed by Erskine Childers aboard the yacht 'Asgard'. After the outbreak of World War 1 the volunteers split over the issue of joining the British Army. MacDonagh sided with Eoin MacNeill, against John Redmond, who supported the Volunteers signing-up.The Nenagh Guardian reported on a public meeting held in Cloughjordan at which Thomas expressed his views. MacDonagh was appointed to the General Council of the Volunteers and became Director of Training. In July 1915 he was chief organizer for the funeral of O’Donovan Rossa. The following September he was stage directing in conjunction with Edward Martyn and Joseph Mary Plunkett. His play Pagans was staged in the Hardwicke Street Theatre in 1915. He continued his work on Literature in Ireland, his classic work of literary criticism, which forms a study of the relationship between language and history. Although heavily involved in the Irish Volunteers, MacDonagh was a late addition to the group of leaders of the 1916 Rising. In April 1916 MacDonagh joined the secret Military Council, planning the rising, only weeks before the rising actually took place. During the rising, MacDonagh's battalion was stationed at the Jacob's Biscuit Factory. The veteran Fenian John MacBride joined them as second-in-command, although the battalion at Jacobs factory saw little action on the day of the Rising. MacDonagh received the order to surrender on April 30. Following surrender, MacDonagh was court martialed and executed by firing squad on 3 May 1916, aged just thirty-eight.